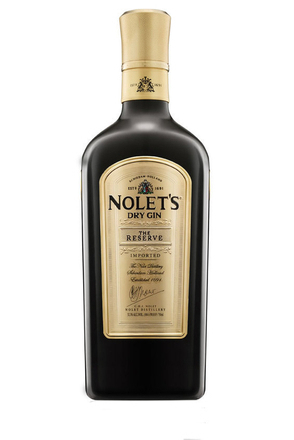 The Nolet family still sources all its wheat neutral spirit (WNS) from the same supplier Carolus's grandfather started to buy from. 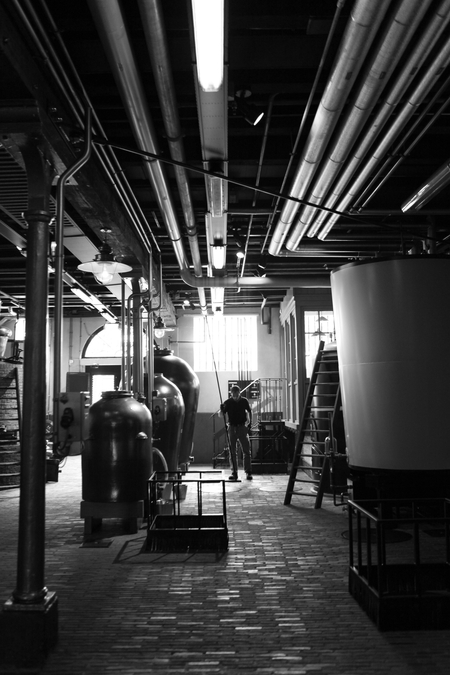 Over the preceding decades the two companies have grown together and worked to continually improve the quality of the distillate and working practices. 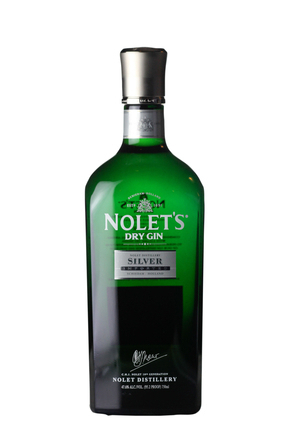 The Nolets remain by far its largest customer and the WNS they buy is made specifically for them, using winter wheat sourced from the South of Holland and Northern France. 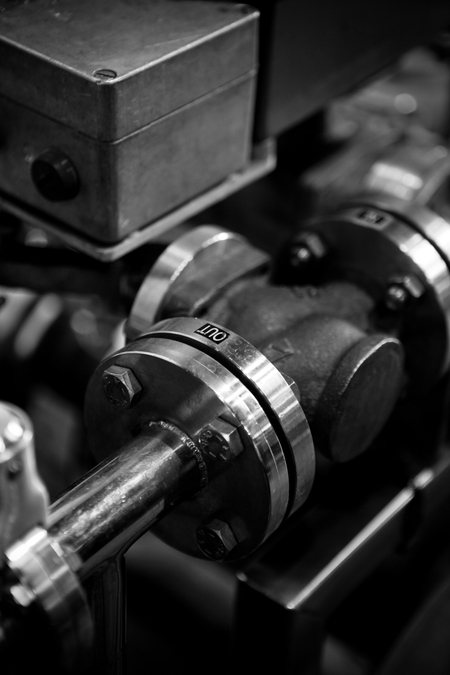 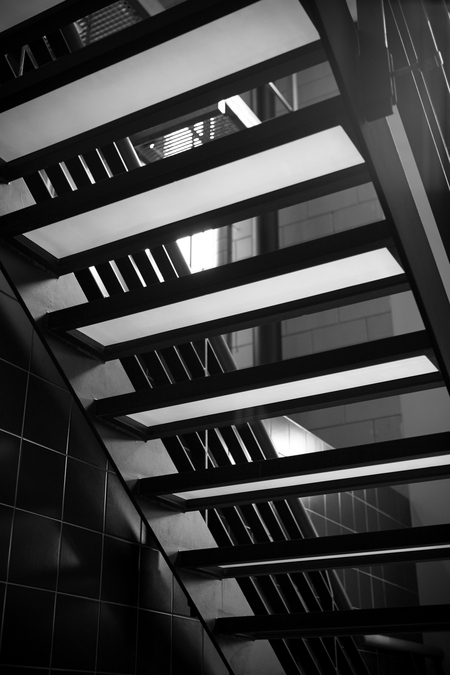 The Nolets specify a quality of WNS made using an additional fourth rectification column with copper plates. 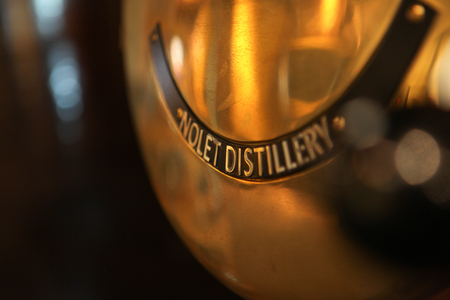 This specially produced, ultra pure spirit is supplied exclusively to the Nolets. 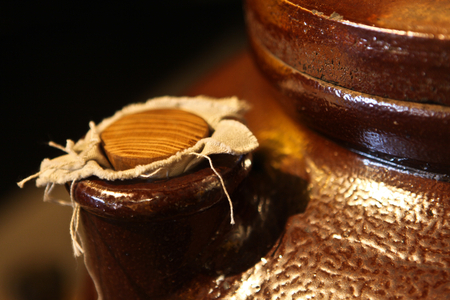 Although highly purified, the rectification process employed does not kill the character of the spirit. 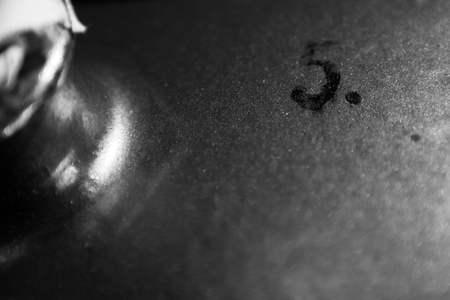 When sampled, this WNS is fresh and lively tasting. 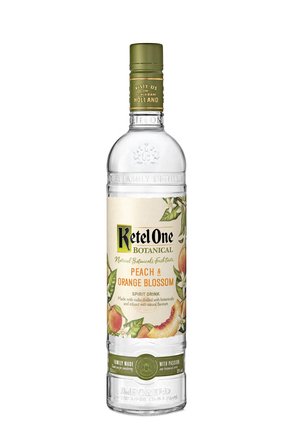 This is the all-important base spirit with which Ketel One vodka is made. 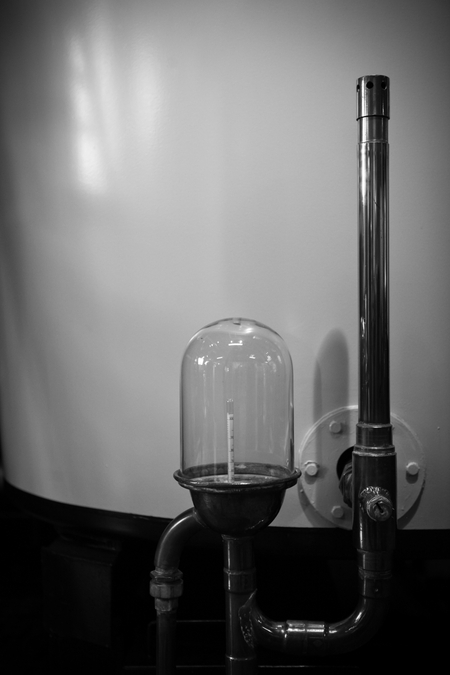 The Nolets have their own one million litre tank at the WNS distillery, the level of which is never allowed to fall below 500,000 litres. 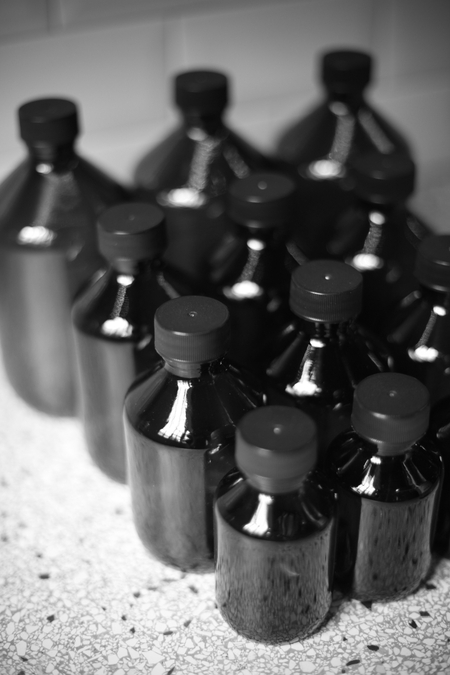 Although distilled in a continuous process the Nolets test the WNS on a daily basis and if it passes muster then it will be added to their holding tank. 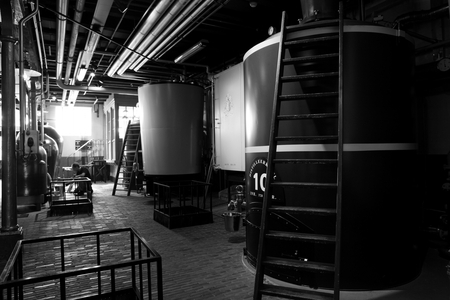 Monitors in the tank confirm to the Nolets that the tank has indeed been filled with the anticipated quantity of spirit. 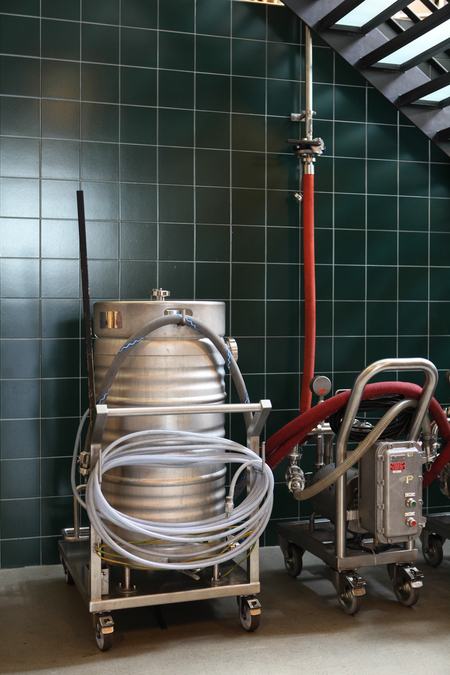 Two dedicated 40,000 litre tankers are used to transport the WNS the short distance to the Nolet Distillery, though before each tanker load is pumped to the holding tanks in the Nolets' own tank farm, a sample is taken and laboratory tested to ensure its quality. 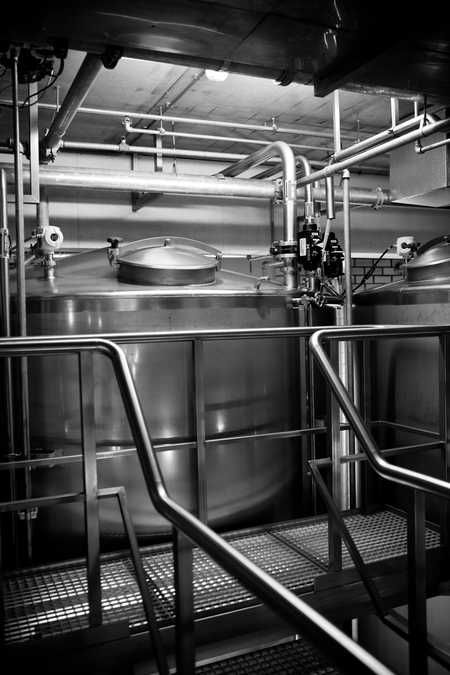 Water purified by reverse osmosis, to remove all mineral deposits, is used to dilute the WNS to create what the Nolets refer to as 'Ultra Wheat Spirit'. 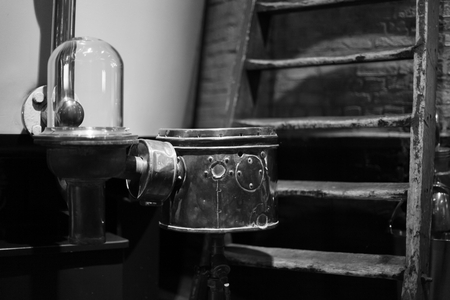 This is used to charge the pot stills, including the original 19th century coal fired Distilleerketel #1, which run every day. 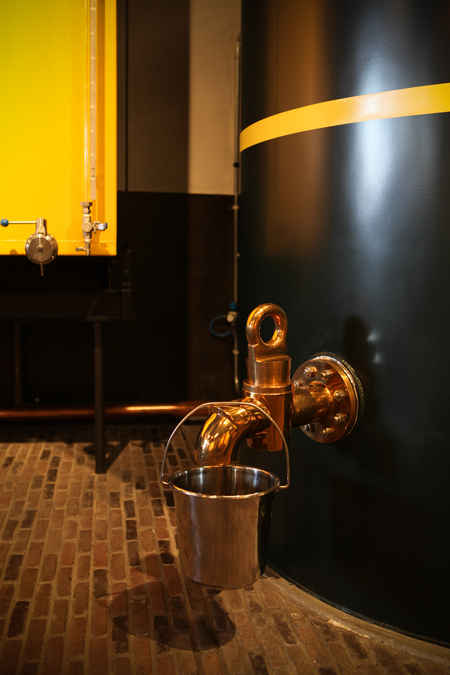 All are copies of Distilleerketel #1 and have a capacity between 3,200 and 3,400 litres, to mimic the 3,277 litres capacity of #1. 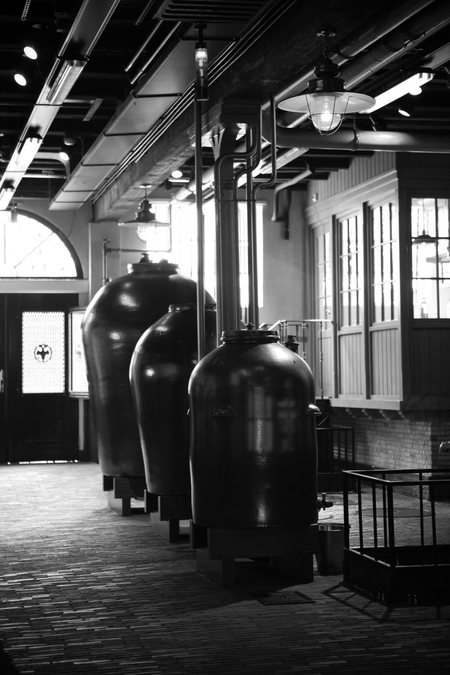 Each is charged with 2,500 litres of Ultra Wheat Spirit. 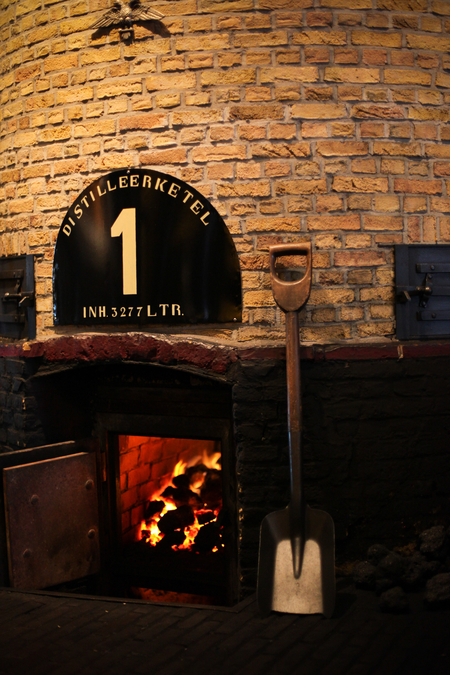 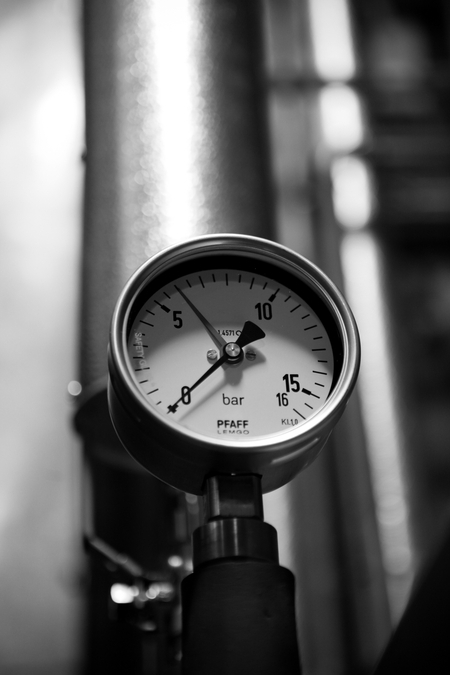 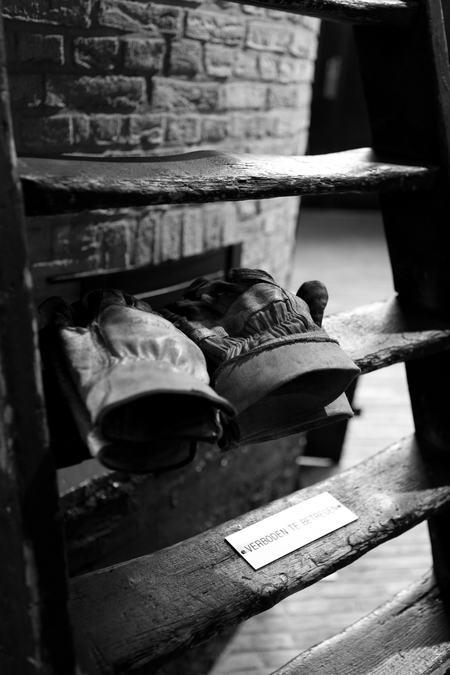 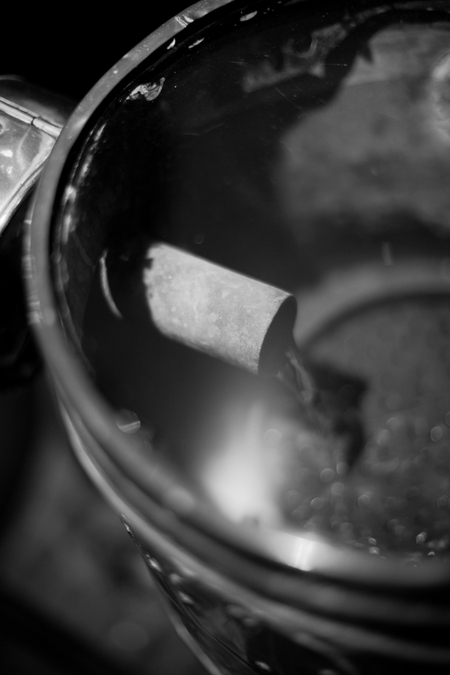 The master distiller still hand-stokes the fire and regulates the temperature of Distilleerketel #1, taking thermometer and hydrometer readings to control the running of the still. 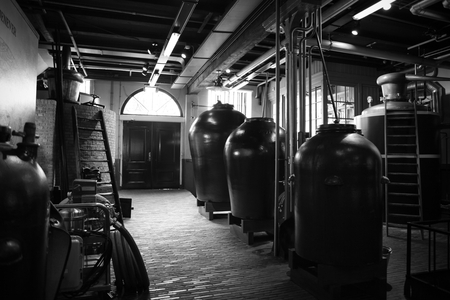 The other stills are identical in design to Distilleerketel #1 but are gas-fired and computer-controlled. 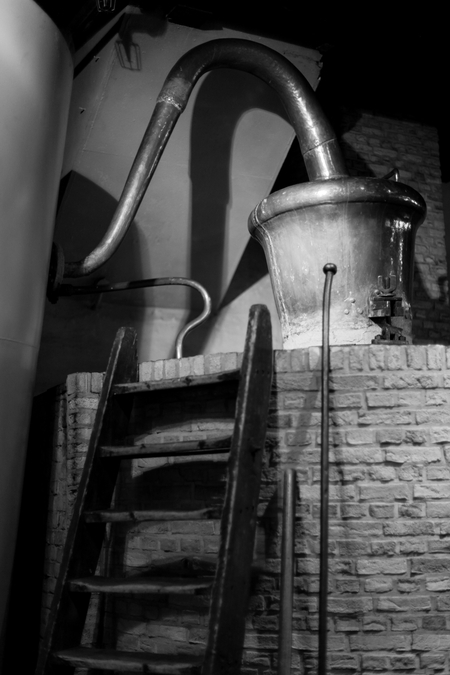 The first distillate (known as the head) of every distillation is discarded to eliminate bad tasting volatile alcohols. 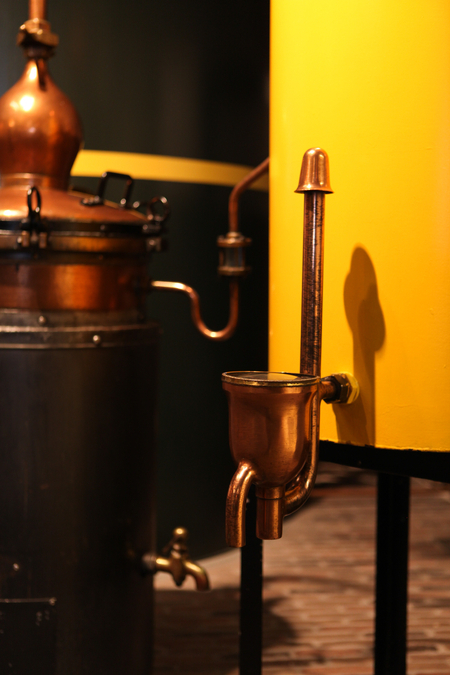 Similarly, the last part of the distillate (the tails) is also discarded due to bad tasting lower alcohols and fusel oils. Only the heart of the distillate has the purity required to make Ketel One vodka and the average batch produced is around 80% abv. 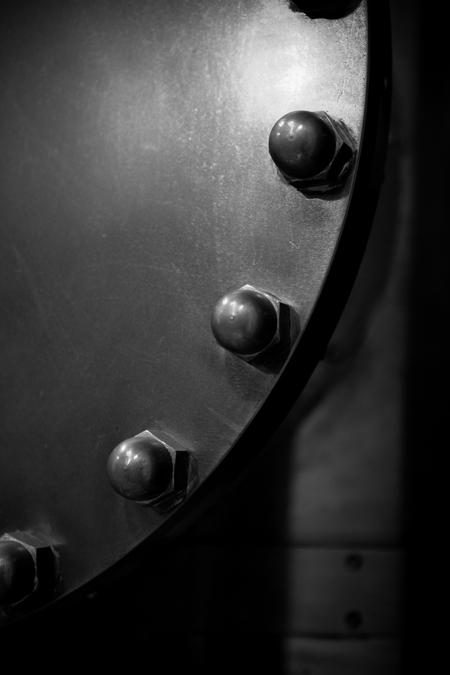 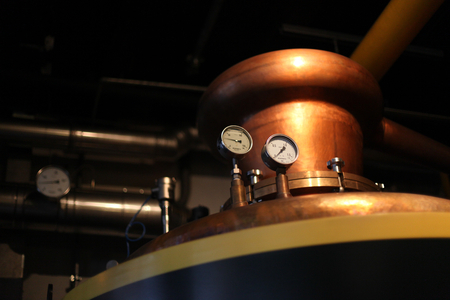 Distillation lasts eight hours and the stills are shut down when the heart turns to tails. 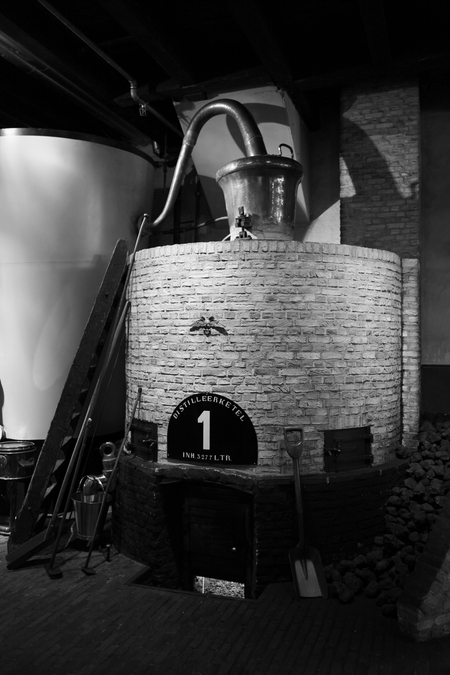 In their relentless quest for purity, the Nolets discard all heads and tails rather than adding them to the next batch as is common in other distilleries. 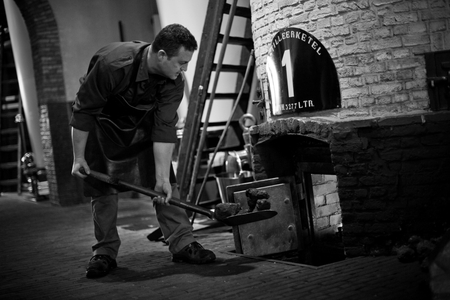 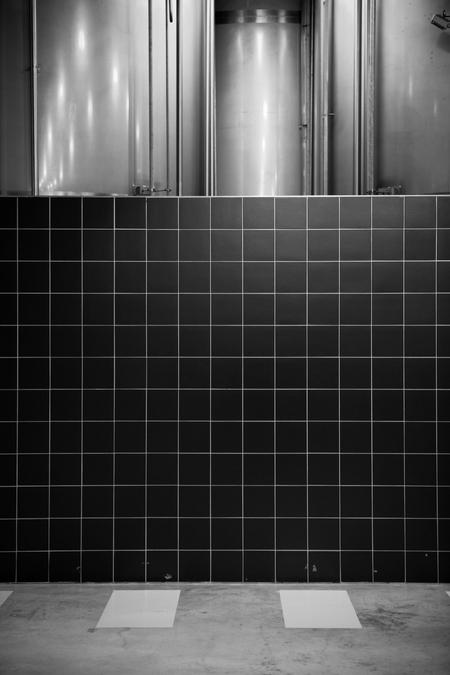 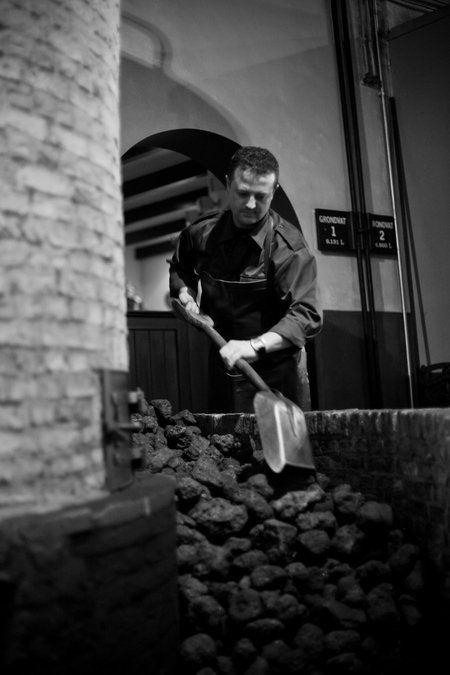 The spirit produced by the pot stills is individually filtered over charcoal. 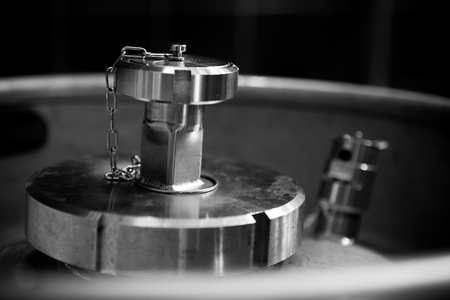 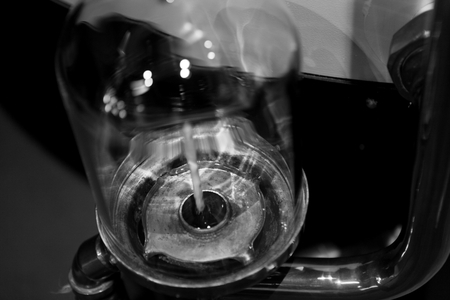 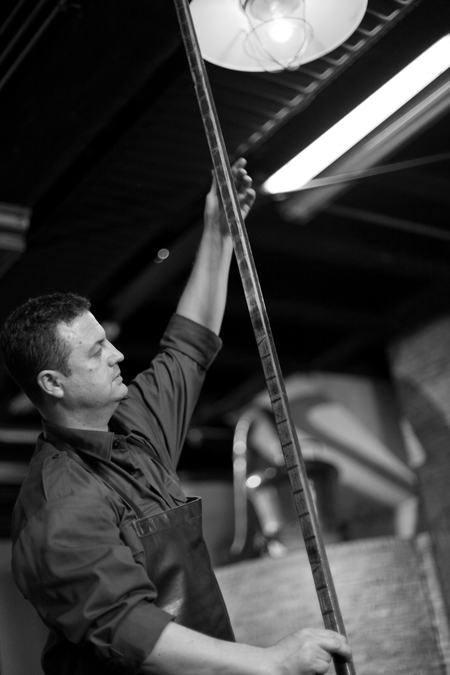 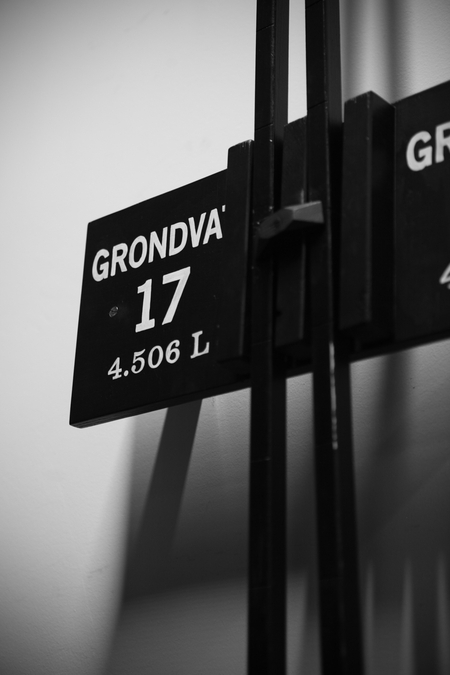 The filtered pot still spirit is rested in stainless steel tanks and blended to produce a 'Master Pot Still Batch'. 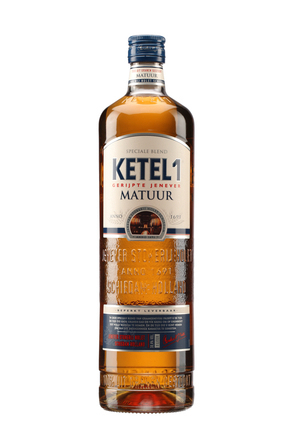 This is then married with the column still Ultra Wheat Spirit, which has been separately filtered, before being reduced to bottling strength with purified water, which has also been charcoal filtered, to 'polish' it - colour molecules in the water are bigger and the Nolets want to ensure that Ketel One has a bright, crystal-like appearance. 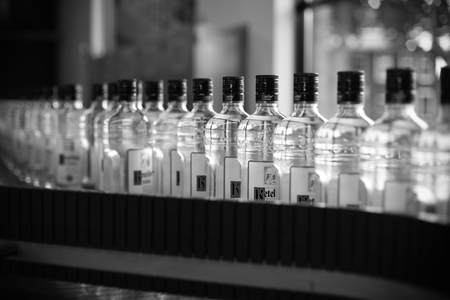 Once combined, the vodka is then allowed to rest for at least 24 hours to "marry" the components. 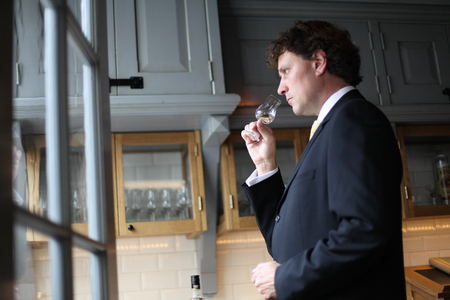 Twelve people, selected from the staff at the distillery, form an all-important tasting panel. 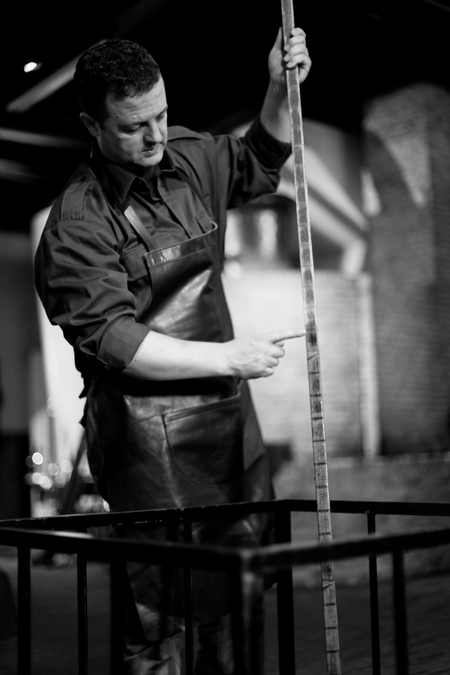 Triangular tastings are performed of the UWS, master pot still batches and finished vodka between 9:30am and 10:30am every day. 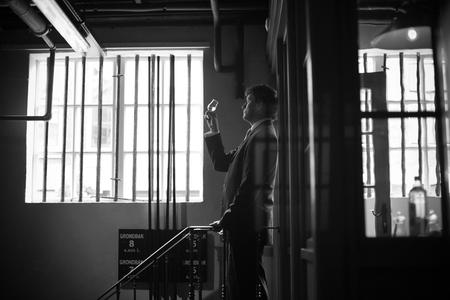 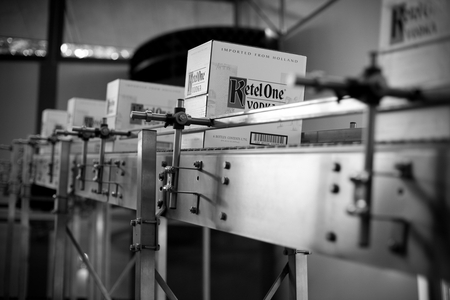 As a last check, each batch of Ketel One vodka is approved by a member of the Nolet family prior to bottling. The Ketel One bottle itself was designed in the style of an original Dutch crock spirit bottle but the neck height was increased at the request of bartenders to make it easier to pick up from the speed well of bars.